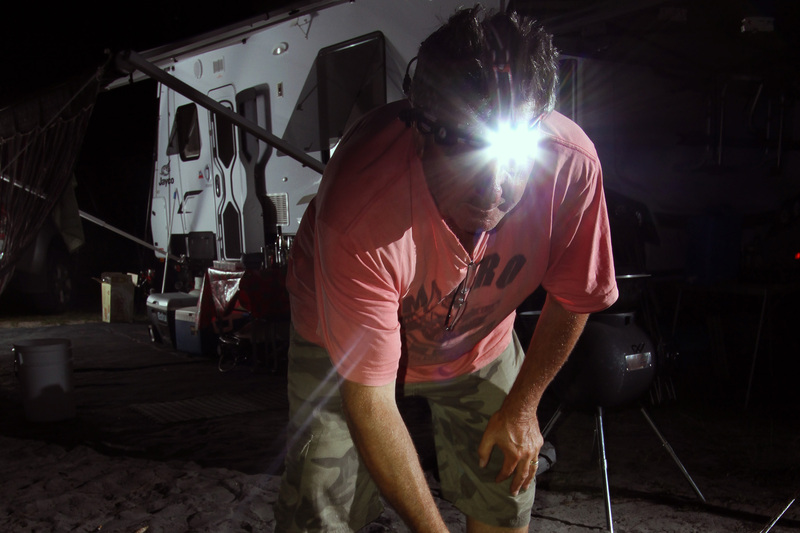 Setting up and moving around a camp in the bush at night can be awkward- unless you have a good head torch. 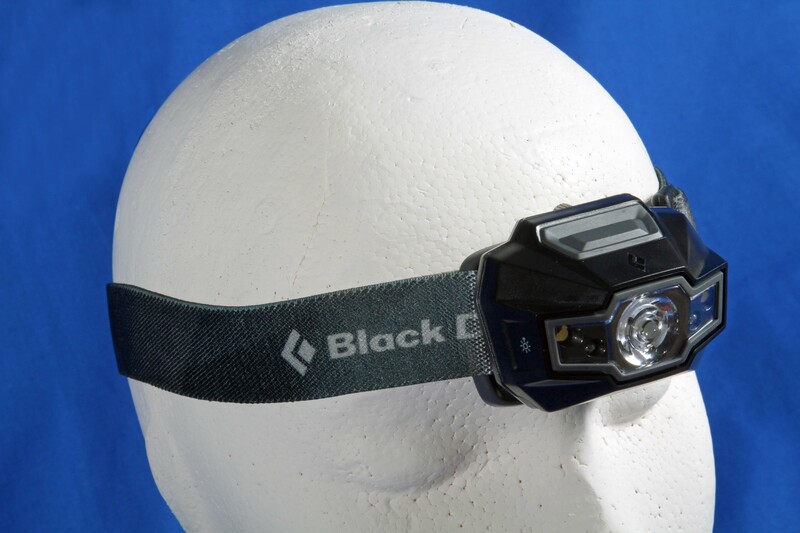 We’d say a head torch was a must-have in all camping situations. So aside from the $10 cheapies just what is available today in quality head torches? An IP (ingress protection) rating is a grading of all encased electrical products against ingress of foreign matter, most significantly water in the case of torches. Waterproof ratings run from 0 (no protection) to 9 (the device can be continuously submerged at a depth specified by the manufacturer – this usually means it’s completely sealed). A medium rating of 4 indicates it is protected against splashing of water from any direction (such as in rainfall). Cree is a company that was formed in the USA in 1987 and is now a major manufacturer of class leading LEDs. Cree LEDs produce an intense white light, out-powering standard LEDs. 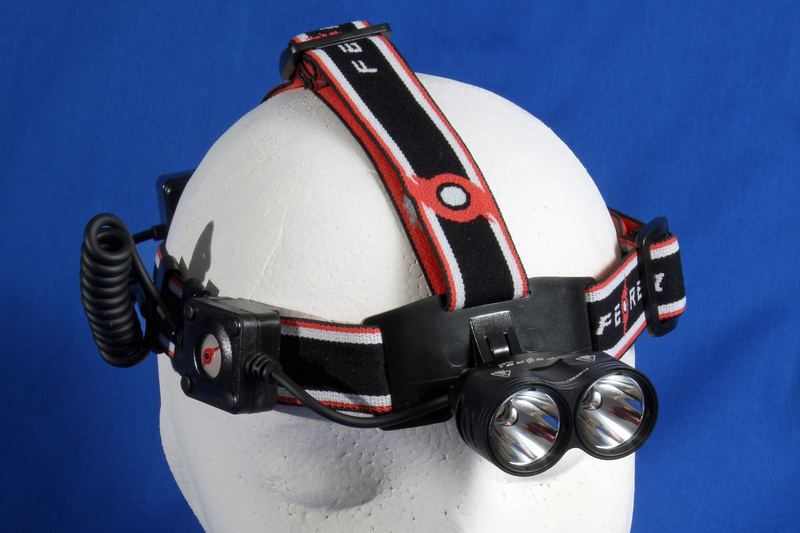 Battery options for items like head torches have improved greatly in recent years. Lithium batteries are the best of the disposable range of batteries. They have a shelf life of a minimum of four years at high temperatures and up to 11 years in the right conditions. In rechargeables avoid NiCad (nickel cadmium) batteries as they are prone to problems but good quality NiMH (nickel metal hydride) batteries, such as Eneloops, made by Sanyo, can be recharged up to 1500 times and can deliver 2000ma (milliamps) of charge or more. The Black Diamond Storm is the smallest and lightest of the torches under test. It was the only one without a centre strap over the top of the head, and despite this it was amongst the most comfortable to wear. The Storm is different to all the others in our tests in its use of four AAA batteries which means there’s no charger or items other than the torch itself and re powering is simply a matter of swapping to new batteries. It’s a surprisingly rugged little torch that is waterproof (IP rating 7 down to 1m). Operation is simple. An on-off button of the top of the lamp unit starts the lamp at 70 percent brightness (approximately 110 lumens) and you simply tap the right side of the lamp with your finger tip to rotate it through full power and back to 70 percent. On the left side is an LED which gives you battery condition (green for over 50 percent, orange for 25-50 percent and red for under 25 percent). Hold the power switch down for three seconds and you get two red LEDs which preserves your night vision. Press the power button twice for two small “proximity” LEDs for occasions when you don’t need a subject flooded in light. The PowerTap feature works in all modes. Press the power button three times in any mode to go to a strobe (flashing) feature. Hold the power button down to cycle from maximum slowly down to minimum output in any mode. This little torch looks a little under-tech compared to the others on test but has all the features most would want and we rate it highly. This is an industrial grade torch that you could almost weld metal with, boasting 1800 lumens of maximum output. The battery pack sits at the back of the head and holds two 2600 mAh rechargeable 18650 lithium ion cells. The power switch is located on a small panel that sits against the right temple. Press once for low power and a second time for full power. Do not shine into anyone’s eyes. Construction is aircraft grade aluminium with type III anodising and a polymer battery pack. The kit comes with a charger which plugs into the cable from the battery pack. Charging takes place in the battery pack and a red LED lamp indicates when charging is complete. The torch has reverse polarity protection to prevent damage if batteries are incorrectly installed. Care should be given when handling the head unit after prolonged use at high output as it can become hot; we measured it at 64 degrees C after two hours of use. 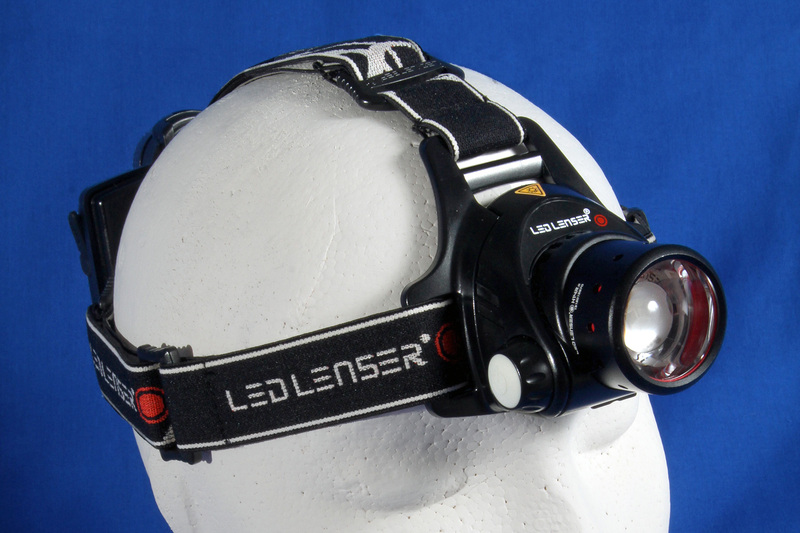 This German-made head torch is a pretty classy piece of gear. It has a maximum of 850 lumens of output and the on-off switch is handily located on the right side of the light unit. Light intensity is varied by pushing the power button once for low power or twice for high, or rotating the wheel on the back of the battery pack (on the back of your head when being worn) but can be returned to maximum by holding the power button down for two seconds. When you first turn on your torch there’s a green LED light on the adjustment wheel if battery capacity is above 50 percent, yellow at 20 to 49 percent and red if below 20 percent. You have the option of a flashing or fixed red light on the battery pack at the rear; handy for those on bikes or running. 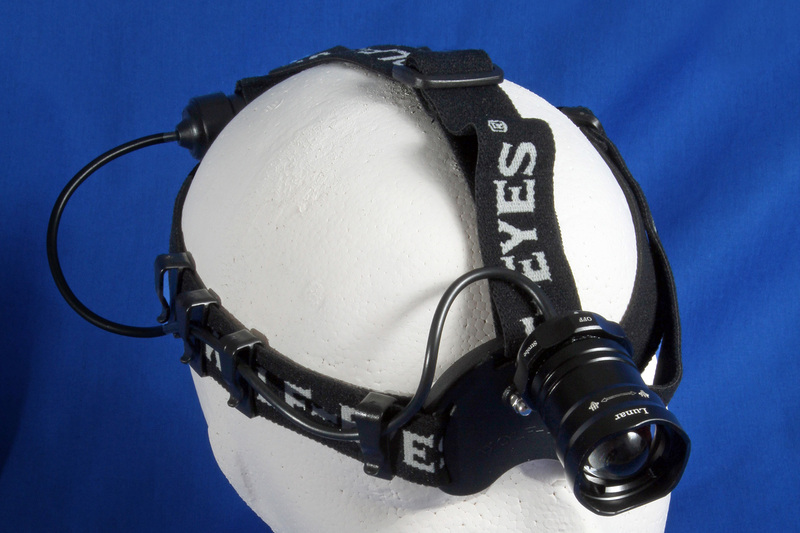 The light beam can be altered from spot to flood by pulling and pushing the light bezel. Battery power is very variable: a rechargeable lithium ion battery pack (as our test unit had) which can be recharged via a USB plug, or a range of AA, CR or RCR batteries or two 18650 lithium ion rechargeable batteries. The head is anodised aluminium with the battery pack from a polymer material. The instructions are in very small print, densely written and without diagrams. At 349 grams this is a heavy torch. We rated this as probably the best of the very top end torches because of its versatility. 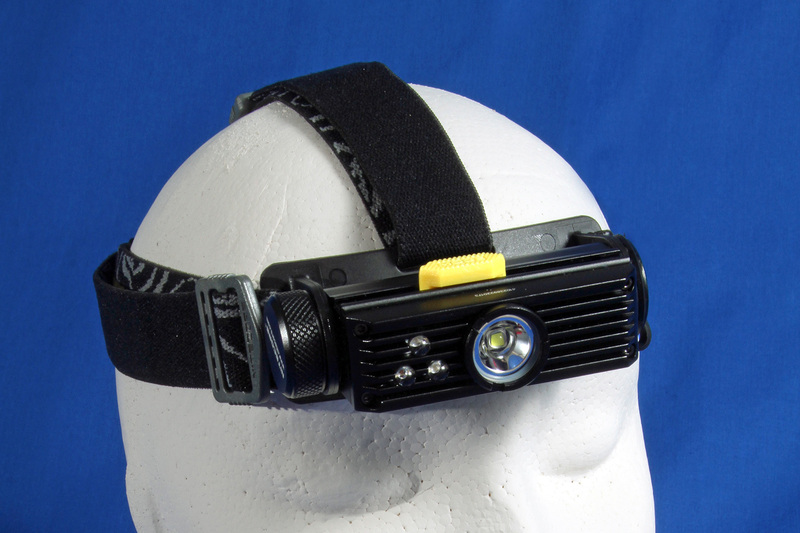 The Nitecore HC90 is an excellent head torch that combines many features in a small package. It has a hard anodised all-metal construction in aluminium with one main illumination LED and three secondary coloured LEDS for specific uses (red for night vision, green for map reading and blue for blood and stain detection and fishing and hunting). All lights are controlled by a single slide on the top of the head unit, including the main LED beam which can be varied from low up to maximum output. At 900 lumens it’s very bright. The beam is broad (100 degrees) and non-variable. Power comes from a single rechargeable 18650 lithium ion battery. Charging takes place in the unit via a supplied USB cable. The torch is also compatible with two CR123 lithium batteries. The IP rating is a maximum 8 down to 2 metres. We found this as probably the best torches under test, being small and light, the simplest to use and having more than enough light for use around camp. 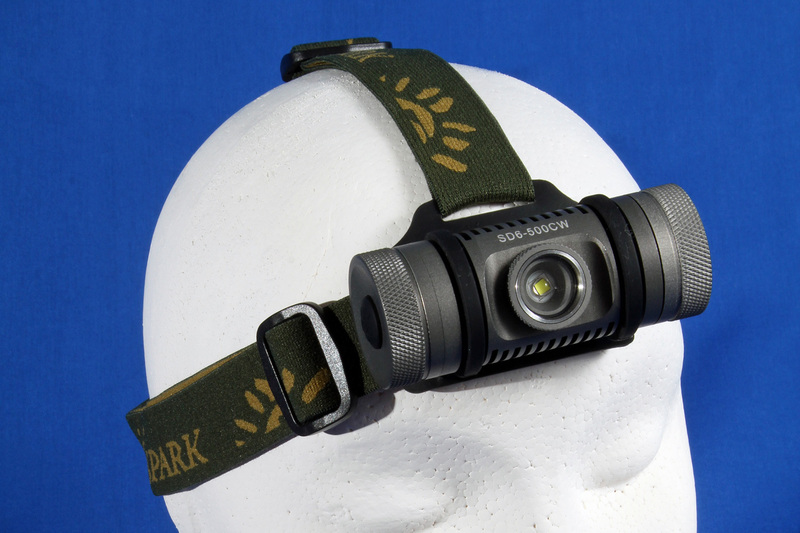 The Spark SD-6 is a full flood beam headlamp – in other words it’s not a narrow focus beam – that comes in a gift box with a headband, pocket clip and a powerful screw-on magnetic adaptor to utilize the light as a work light. It is fully sealed with no external wires to become snagged which makes it excellent for hiking or setting up camp. It uses two CR123A batteries or a single rechargeable 18650 battery, neither of which is included in the kit. Operation is easy, simply holding down the power button on the right hand end of the unit as it cycles through four levels of light output to suit the circumstances. The current mode is memorised so after turning off you can return to that mode the next time you need the torch. Double clicking any time converts to maximum output level. Construction is all aluminium. The included instructions are pretty minimal. At 155 grams in weight it is light and comfortable. 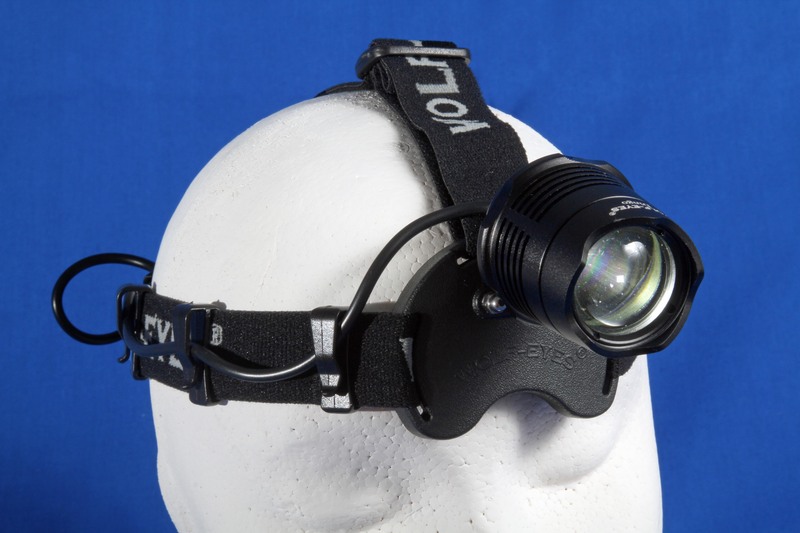 The unique feature of the Wolf Eyes Dingo is that it comes with two different lenses for the lamp unit. One is a spot and the other a wide angle flood. The spot lens is adjustable in angle from 11 degrees to 50 degrees. This would be excellent for spotting wildlife at night, while the wide angle lens is excellent for setting up, where distance is no requirement but plenty of light over a wide area is. Coverage varies from 50 to 76 degrees. The torch can also be used without either lens for a soft, very broad beam and still retains its IP rating of 4 (splashproof). It is a relatively small torch, though its solid anodised aluminium construction of the lamp unit adds to the weight. It is powered by a single rechargeable 2600mAh lithium ion battery, located at the rear for good balance. The battery is located by a spring at each end to ensure a positive contact at all times and with a centre head strap this torch is ideal for active people in need of a torch. The foam-backed head unit makes it comfortable to wear. Operation is simple, with a rotating ring at the base of the lamp unit which turns through four different power settings and a flashing strobe mode. Power can come from a rechargeable 2600mAh lithium ion battery or two readily available CR123 non-rechargeable cells. The use of a rechargeable battery would require the purchase of a charger unit ($40 RRP). This is a quality torch that is very adaptable, though the potential to misplace or lose one of the lens units is always there. It is comfortable to wear and easy to use and it was a good torch for a modest price. We did find that the lamp unit became hot (measured 60 degrees C) with maximum use so subsequent manipulation of the control ring had to be taken with care. The Wolf Eyes Lunar is the smaller brother to the Dingo, with similar construction standards. The lamp unit has the one fixed lens but otherwise functions in the identical manner except that it rotates to move from flood to spot. This isn’t the brightest torch on the market, with a 450 lumen Cree LED but it is more than adequate for most purposes and is a good quality unit with comfort and flexibility. Power comes from a single supplied 2600mAH rechargeable lithium ion battery that is located in a rear mounted case for balance. Again the design suits active people. In this case the charger unit comes with the kit. This also is a very good torch and despite being lower in output than the Dingo is simpler to use (no interchangeable lenses) and with the charger is a complete kit as it is. Again temperature was an issue with the lamp unit reaching 57.5 degrees C with maximum power use. This was a good value torch at a modest price amongst some quite expensive units. 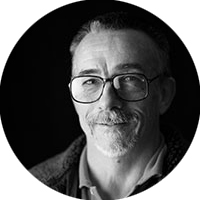 David Cook has been a photojournalist in the magazine publishing world for 50 years, for 23 years of which he ran his own publishing business. 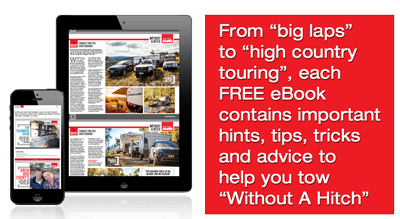 As a keen camper he is now a well known contributor to several camping and travel journals.